Happy Monday! Thrilled to share with you my latest DIY contribution for my friends at Joe Fresh (psst, they’ve also got a face lift on their blog!). 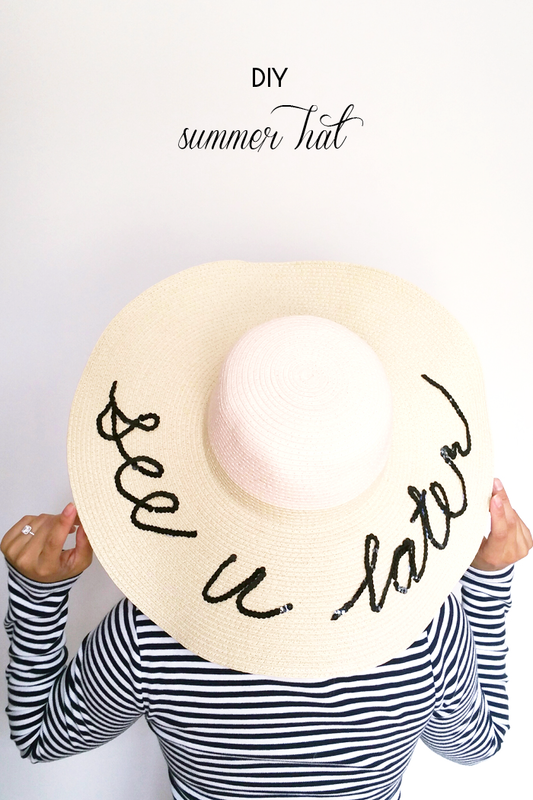 A giant floppy sun hat is a must during the summer season. I’ve managed to collect a wide variety of sun hats over the years and they are all fairly similar to one another. Gearing up for this summer, I decided to make my newly acquired Joe Fresh hat ($12-16) stand out by embellishing it with a sequins trim and a nifty phrase. 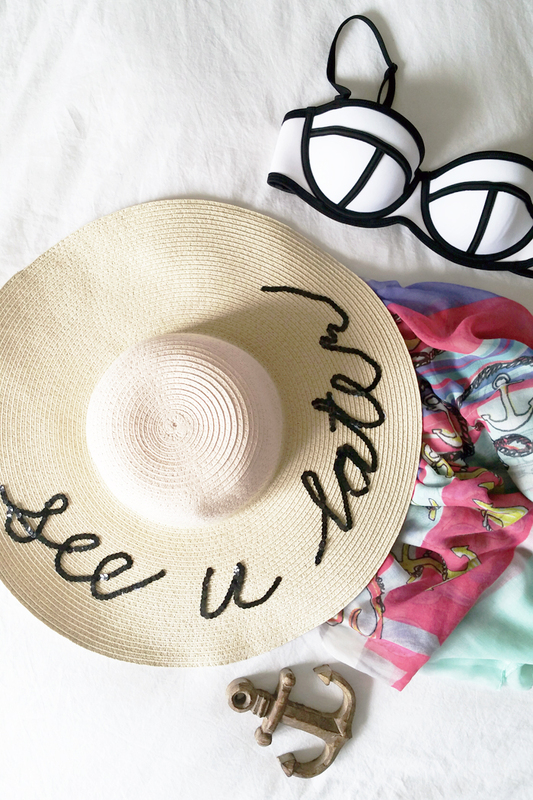 Nothing speaks vacation mode like a “See u later,” right? 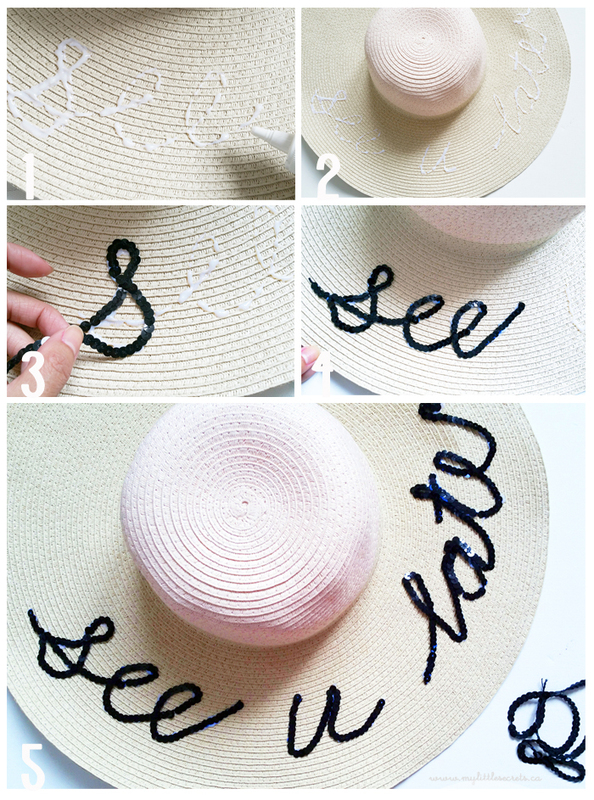 A Joe Fresh sun hat plus your own sequined message equals the perfect Instagram-worthy design. Create an outline of the word phrase with your glue / Wait for glue slightly dry, it should have a sticky and not runny consistency / Overlay sequins trim letter by letter over glue / continue with the rest of the word phrase / Let dry for one hour, the glue will dry transparent. You’re all set to enjoy the shade under your sun hat on a breezy beach day! I hope you enjoyed this tutorial and I’d love to see you create your own! Shop my favourite summer picks from Joe Fresh! This post was originally posted on Joe Fresh Post. Thanks Martiza!!! Super easy and perfect for the summer!